I stumbled onto this image and remembered how much I liked this latter-day Simpsons episode. Surprisingly good, and with the added benefit of guest starring Alan Moore himself. 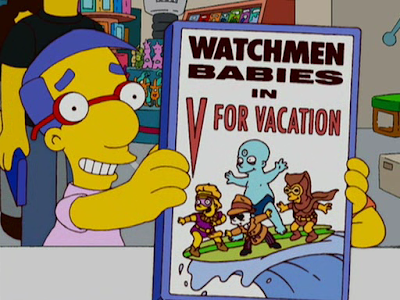 This may be even funnier after the Watchmen movie comes out.